Let us ponder that one. We live in a representative democracy. That means a majority — or often times, a plurality — of Americans elect the people who represent them in government. I gather from the bumper sticker that the owner of the vehicle adorned by the bumper sticker doesn’t support the actions of the government. I don’t what they would be, since I didn’t meet this individual to discuss the issues. But a republic such as ours allows us the opportunity to elect the people we want to run our government. Therefore, our government reflects the will of most of those who bother to vote. Sure, it’s often just a majority of a minority that decides these things, and elects these people. But they’re our leaders, nonetheless. So, what is it about our government that frightens this person? Whoever he or she is ought to run for public office at the earliest possible moment. Bones and money get in the way? Amarillo city commissioners are taking a hard look at turning a trash-strewn playa lake into a park. It’s T-Anchor Lake. Its condition has become a sore point with neighbors near the lake, which is next to the American Quarter Horse Museum and office complex. The word now is that it’s going to cost as much as $11 million to turn the lake into a usable park. Commissioners have been taking considerable grief over the condition of the property. They’ve been accused of ignoring the lake while pouring its effort into park projects in other parts of the city. But 11 million bucks is a lot of money, especially for a city government that prides itself on its remarkably light debt load. It must determine whether the city will gain a reasonable return on that investment. Let’s add another complication: bones. Archaelogists have found skeletal remains on the site. Determining their origin could delay park development. Are there more of them? If so, what are their significance? It reminds me a little of the construction in Athens, Greece, of a new subway system prior to the 2004 Olympics. Engineers were anxious to keep blasting their way under the city, only to be stymied every time they found antiquities dating back to the Age of Pericles. Archaelogists put a halt to to the construction, making the engineers very, very angry. They wanted to excavate the ruins carefully, making sure they were preserved properly for display. The subway got built eventually, and it’s a thing of beauty. It even has kiosks along its route displaying the ruins found during the subway’s construction. Might a similar situation develop right here over a playa lake? Driving home on Interstate 27 the other day, a question popped into my noggin. How did the highway department finish this job so quickly? It seemed as if the roadway was all torn up and then — presto! — the asphalt is laid down, the lanes are striped and traffic is flowing just like it’s supposed to do. Road construction is becoming a way of life around Amarillo. I’ve long thought I should get into the orange barrel- and cone-distribution business. I’d make a fortune right here in the Panhandle alone. But this latest job seems as if it went more smoothly than many recent highway construction projects. The E-Way is smooth — and quiet under the tires of my car. I can hear the radio now. I love this new word that’s come out of Washington: birther. This word describes those who believe President Obama is unqualified to serve in the office he now occupies. Why? Because they believe he was born somewhere other than the United States of America, which the Constitution requires of anyone who wants to serve as president. Some birthers in Congress have proposed legislation requiring future presidential candidates to produce a birth certificate that declares they were born in this country. They deny, of course, that their idea has anything to do with the nut-job commentary about Obama, the doubters who believe he’s a closet this or that, or that he was born in a foreign land — despite the existence of a birth certificate that says the president was born in Hawaii in 1961. But it has everything to do with the conspiracists who gorge themselves on this baloney. Mark Buehrle and DeWayne Wise have become best friends. Buehrle threw a perfect game Thursday for the Chicago White Sox, winning the game 5-0 over Tampa Bay. A “perfect game” in baseball means no one got on base through an error or a walk, let alone a hit; 27 batters up and 27 down. Game over. Wise, meanwhile, was inserted into the lineup prior to the ninth inning as a “defensive replacement.” At the top of the inning, Wise more than earned his place in history by shagging a deep fly ball over the fence. He came down, bobbled the ball for an instant, but held on for the out. White Sox manager Ozzie Guillen looked like a genius for making the tactical move, right? Well, yes. But think about this: What if Wise had dropped the ball? And what how does the game’s official scorekeeper mark it down? An error, given that Wise put his glove on the ball? Or was it a hit, given that Wise had to run a great distance to the fence, make an acrobatic leap over the barrier — just to get his glove on the ball? Either way, Buehrle’s perfect game would be gone. Hmmm. If it were me, I’d give the batter a hit. But it doesn’t matter. DeWayne Wise saved the perfect game for his teammate — and saved the scorekeeper from a serious case of heartburn. I have gotten mail during the past year that questions whether President Obama is a native-born American. It has come from those who doubt the president is qualified legally to serve in office. Goodness. I have a two-word answer: Secret Service. The issue has boiled up in Congress with legislation that requires future presidential candidates to provide a birth certificate to prove they were born in the United States, which is required by the Constitution. The Secret Service is charged with protecting the president. It’s also charged with all manner of national security issues. Does anyone really believe that the crack security arm of the Treasury Department would allow someone to run for president if it felt there was some doubt that he or she was qualified under the Constitution? I think not. Baby Barack Hussein Obama was born in Hawaii in 1961, two years after the island state joined the Union. The state has a birth certificate. There is no doubt — none, zero, zilch — that he is a citizen of the United States. Will the crazies among us please stop this nonsense? I shook Amarillo native Rick Husband’s hand exactly twice, both times in church. 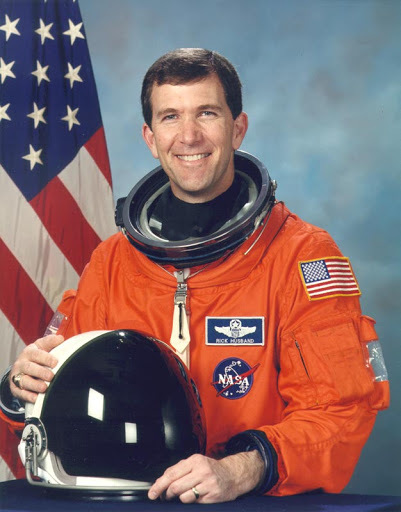 The first time was in a receiving line after he had spoken to our First Presbyterian Church congregation about how he fulfilled his dream of becoming an astronaut. His message that day? Never give up on your dreams. I told Rick then how riveted I had been as a child to the space program. He smiled knowingly. My mom and I spent many hours waiting and waiting and waiting for the Mercury and Gemini missions to launch. I didn’t have time to tell him all of that, although my mother-in-law said something quite similar that day as we greeted Husband after his message from the pulpit. The second time was some months later when his mother-in-law, the late Jean Neely, introduced me to him during some fellowship time in our church’s Great Hall. I told him how I would give anything for a ride on the space shuttle Columbia flight he was commanding. He kind of chuckled and apologized that there was no vacancy aboard the ship. We chatted for a moment or two longer. I wished him good luck on his upcoming mission. Columbia launched in January 2003 and, of course, came to a tragic end. I thought of Husband today as the nation celebrated the 40th anniversary of the Apollo 11 mission to the moon. I thought also of Rick’s admonition to our church congregation that we shouldn’t give up on our dream. Have we given up on the dream of deep-space exploration? It seems that we have. President Bush said we would go back to the moon. President Obama has made similar commitments. But neither of these men have come close to capturing the imagination of the nation the way President Kennedy did when he declared the national mission would be to put a man on the moon “and return safely to the Earth” by the end of the 1960s. We need to return. It’s part of our humanity. We dreamt it once, but we’ve given up. Rick Husband would be an unhappy Texan. Elections have consequences. That’s a given. What isn’t always understood, though, is that elections enable the winners to make key appointments. President Obama has chosen a federal judge, Sonia Sotomayor, who — by any objective standard — is an outstanding candidate for the U.S. Supreme Court. She will be confirmed soon by the Senate. Sotomayor will succeed David Souter, who has retired after serving 18 years on the high court. Souter was chosen by President Bush the Elder in 1991 and, as happens on occasion, turned out to be more liberal than the president would have liked. But all presidents have the right to make these choices. And I’ve always believed that if the judges are qualified, that if they understand the law and make sound judgments without trying to rewrite existing law, then they ought to be seated. If some folks are upset with a president’s pick, that’s just too bad. I understand that the Constitution gives the Senate the right to confirm or reject appointments. But a rejection ought to be based on more than just personal pique at statements made in an academic setting, such as the time Sotomayor said something about trusting a judicial ruling handed down by a “wise Latina” more than a white guy. 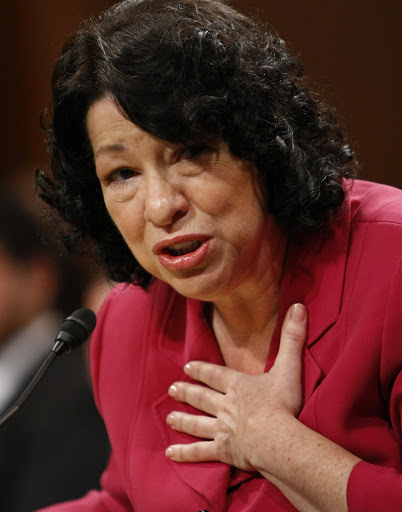 Sotomayor is as qualified on paper as any candidate I’ve seen in the past three decades. Does she tilt to the left? Well, yes. What does one expect from the current president? President Bush the Younger appointed conservatives John Roberts and Samuel Alito to the bench, just as he pledged he would. He, too, deserved the right to select judges with whom he felt comfortable. President Obama has that right, as well. Elections do, after all, have consequences. No one is talking out loud about it. There might need to be some difficult choices made when it comes to wasting of water. Are we running out? No. The city of Amarillo is drilling wells. It’s tapping into groundwater supplies that will take pressure off the use of surface water coming from Lake Meredith, which also quenches the thirst of Lubbock, which has even more residents than Amarillo. But when I drive around the city, particularly in the pre-dawn period on most workdays, I am stunned at the amount of water I see being wasted by commercial watering operations. Broken sprinkler heads dump water into the streets. Businesses — and, yes, even a few private residences — feature irrigation systems that aren’t working properly. Is anyone paying attention? Many of the business owners and homeowners aren’t. City public utility enforcers need to get with the program more than they are at the moment. With some motorists reeling over the city’s get-tough policy on red-light runners, it is getting to be time to create some heartburn among business owners who don’t fix their sprinkler systems. This water supply of ours isn’t infinite. Alaska Gov. Sarah Palin has been taking some well-earned broadsides over her idiotic decision to quit her office. OK. The 22nd Amendment to the U.S. Constitution confers lame-duck status on presidents the moment they’re re-elected to a second term. Did she consider President Bush a mere “lame duck” when voters re-elected him in 2004? I think not. Palin’s excuse was that she didn’t want to fall into the trap that grabs lame ducks. She could have said she’d just stay on do her job. But no-o-o-o. She branded herself a quitter. Many of us in the Lower 48 are still trying to figure out what went through her mind when she decided to give up on this office, causing all the chatter among political junkies. She might not yet know herself. Perhaps she’ll make it up as she goes along.